I like ThinApps, I really do. They’re efficient, easy to create, portable and they just work (most of the time). 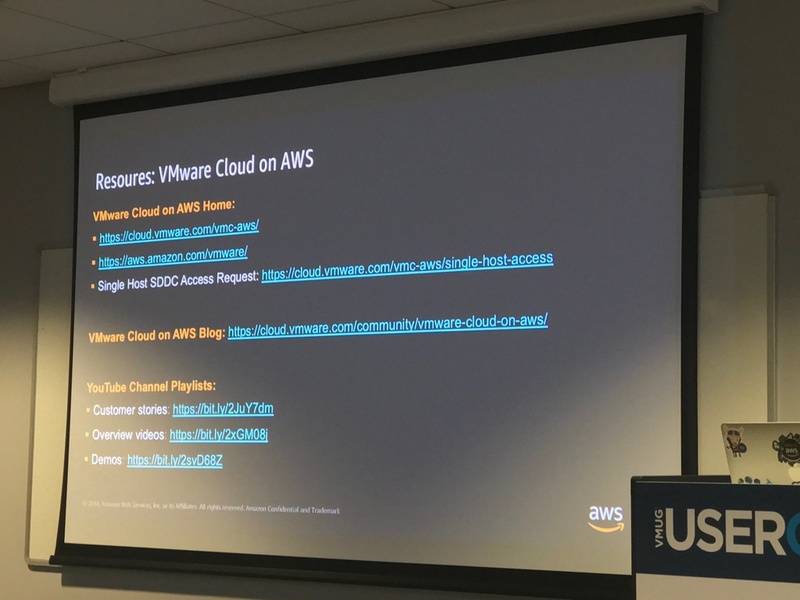 They can be streamed, deployed locally, and are a great way to run older, legacy apps on later OS’s (although the last bit might not technically be supported). 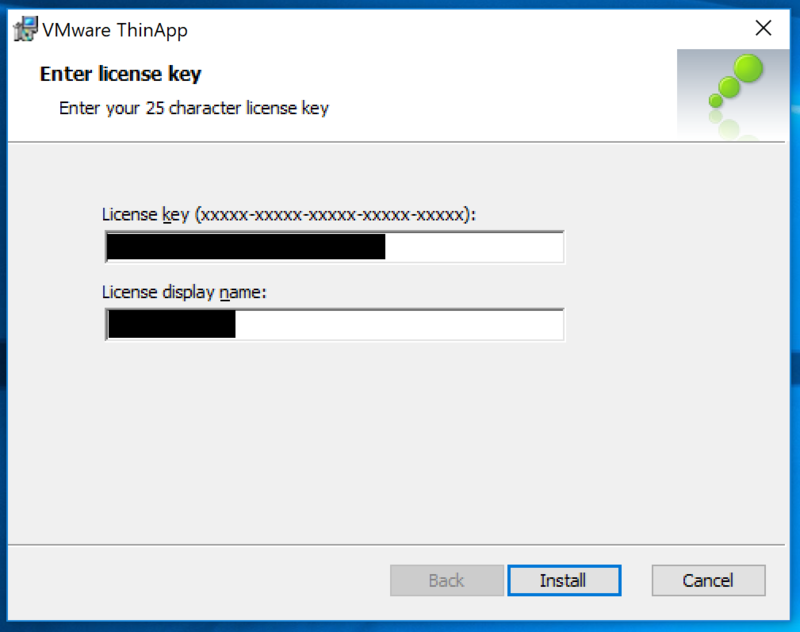 We’re got to go through the process of installing ThinApp and then creating our own ThinApp. It’ll be a basic app but will still work. A clean install of windows, in this case I’m using Widows 10. My preference is to have no AV installed. 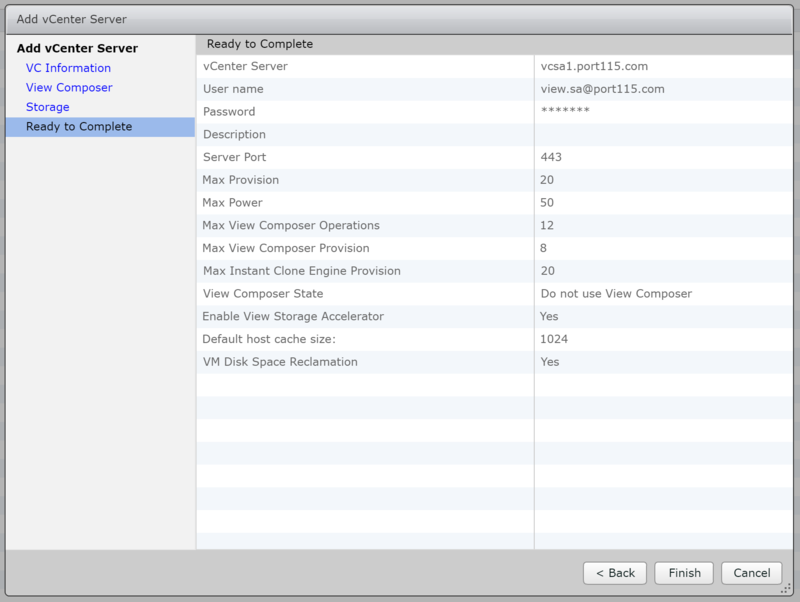 It doesn’t really matter as we’ll be rolling the VM back to a clean snapshot at the end. 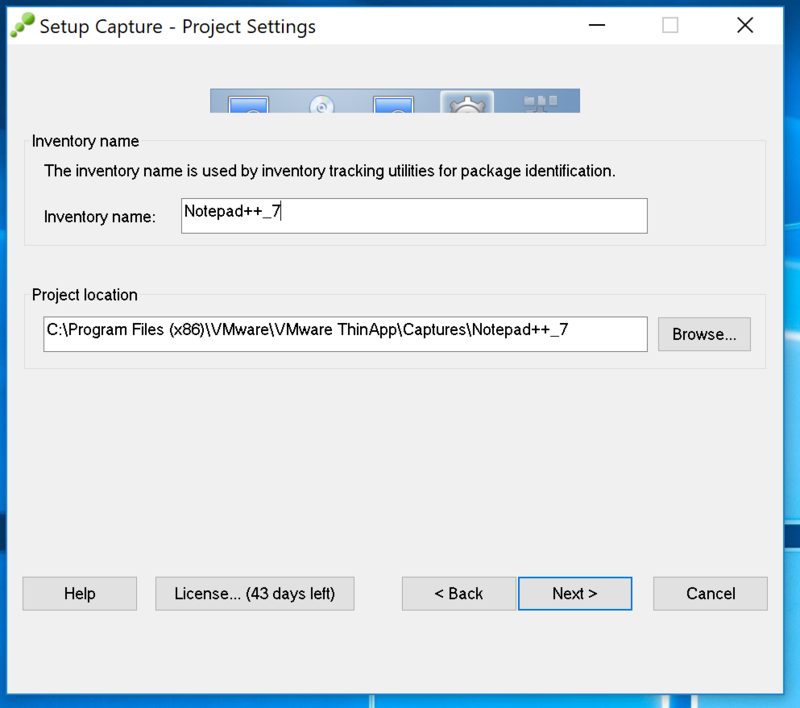 An app to install and package. Make sure its from a trusted site. I’ve used Notepad++ for this particular post. 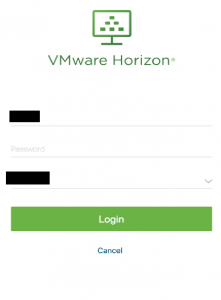 In the next post we’ll add out newly created App to Horizon View. Accept the security warning. Click Yes. You’ll be presented with a patent wall. Click Next. 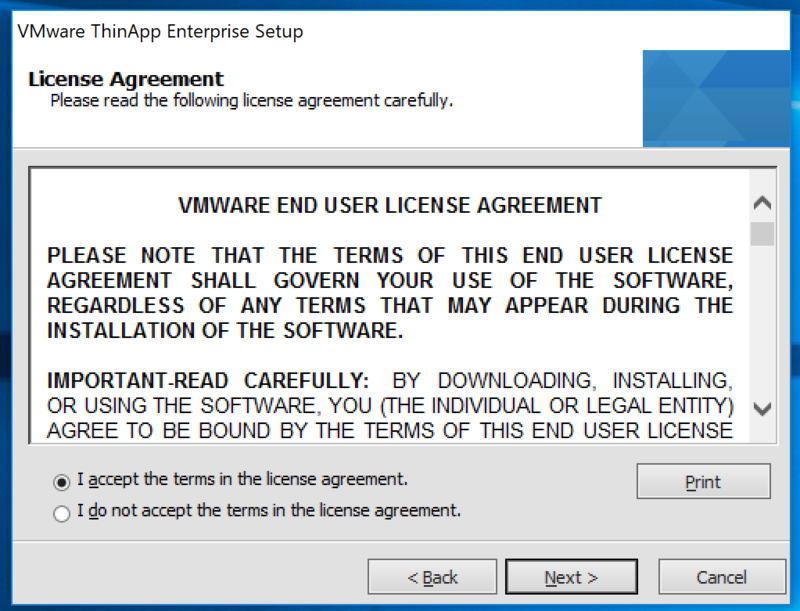 Like everybody does, read the License agreement and Select “I accept the the terms of the license agreement.” and click Next. Here you’ll need to enter in your Horizon View License and give it a name. Click Install. Once the installer is done Click Finish. 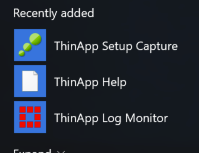 You’ll now see three new icons in your Start Menu. 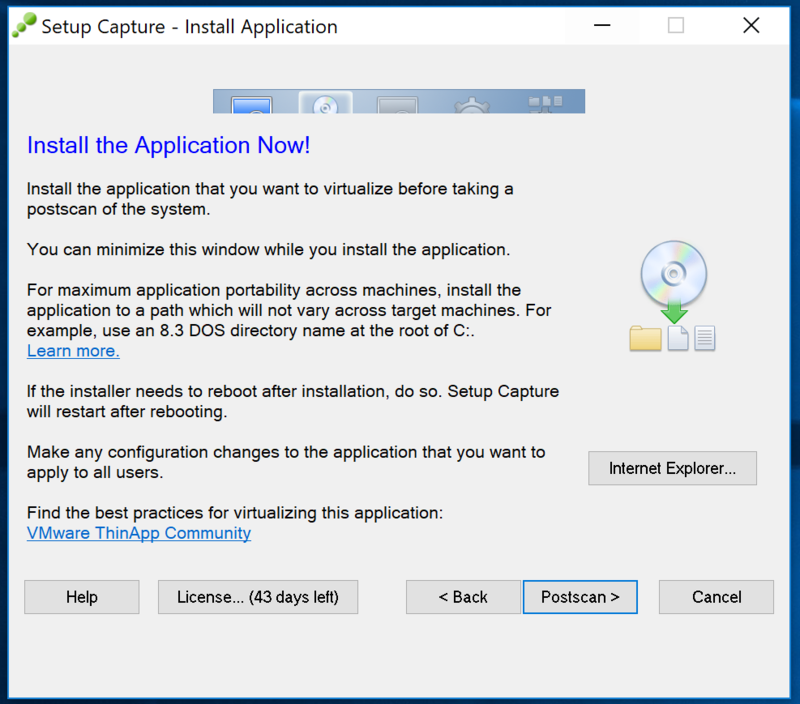 Now that we have ThinApp installed, Shut down your VM and take a snapshot. You’ll want to have a clean state every time you go to package a new app. Our first App is going to be Notepad++. 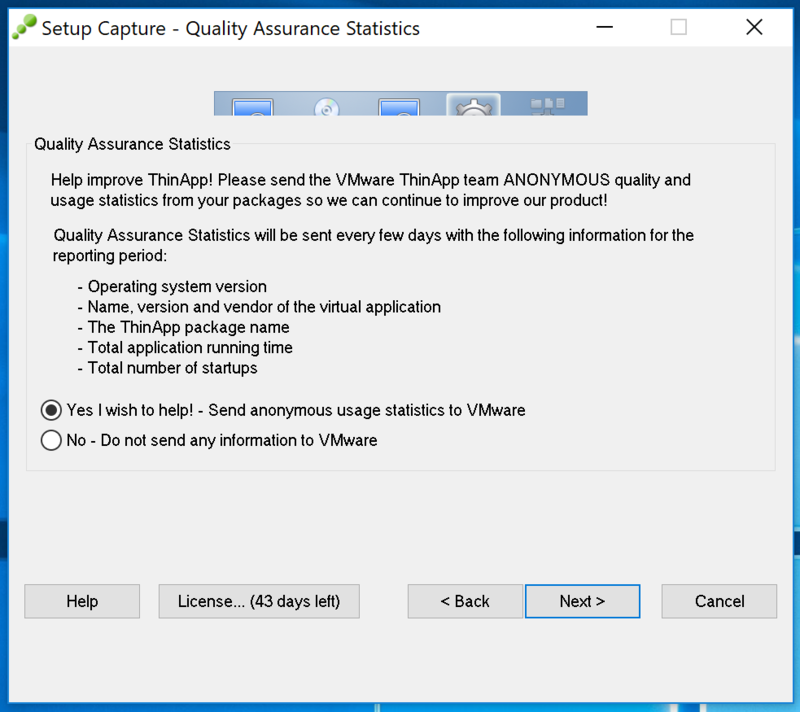 Its a great little app and, in my opinion, should be part of any VDI deployment. 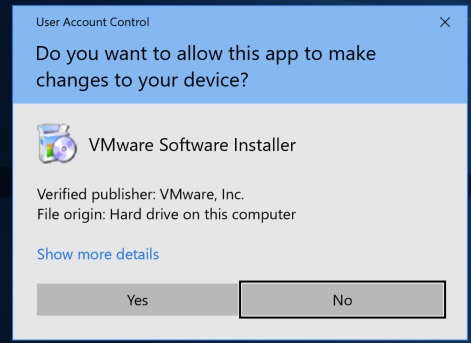 At the User Account Control, Click Yes. Here we’ll trigger the prescan. 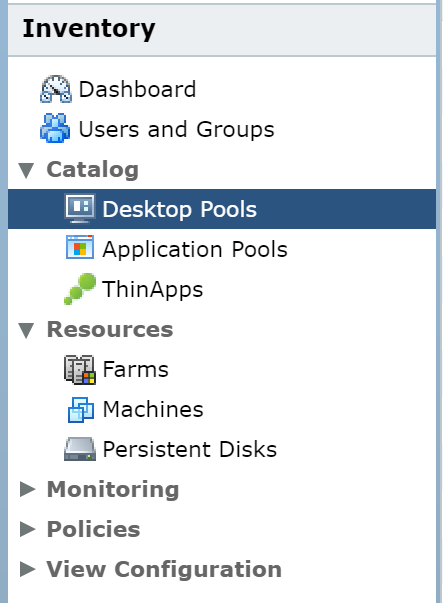 This is where ThinApp goes off and profiles the current system state, hence the need for a clean system. Click Prescan. Go ahead and install you app. 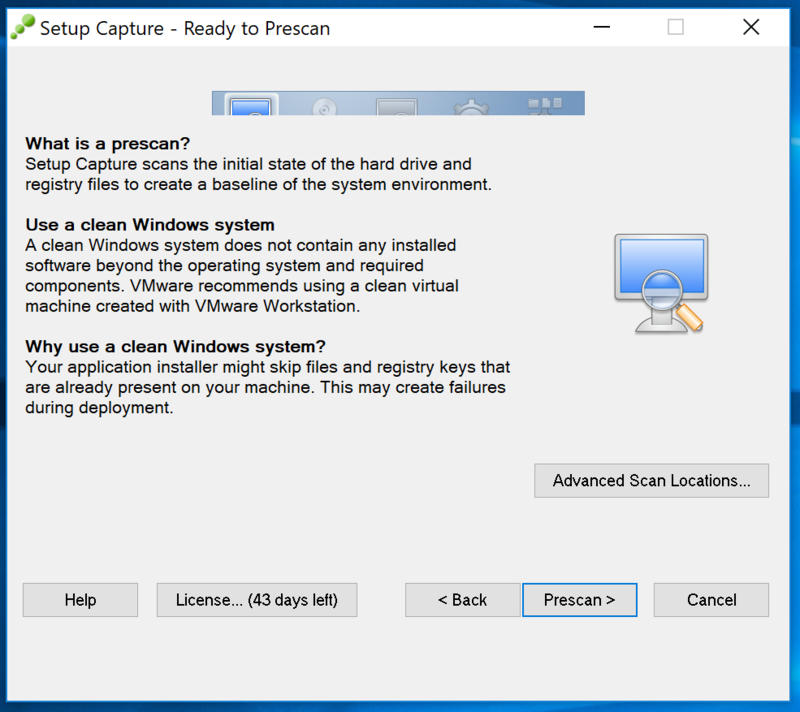 I would strongly recommend that you start it at least once, to finish any post install config, before clicking Postscan, which will trigger a second profiling of your system to see what has changed. Just to confirm what I said above. Click OK. 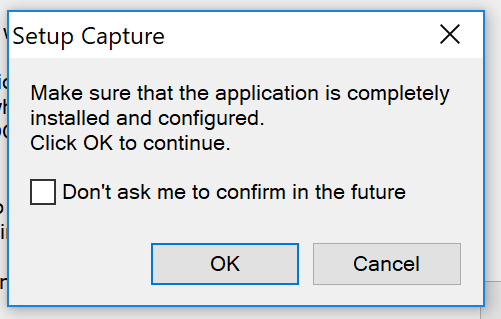 Select the Executable file. 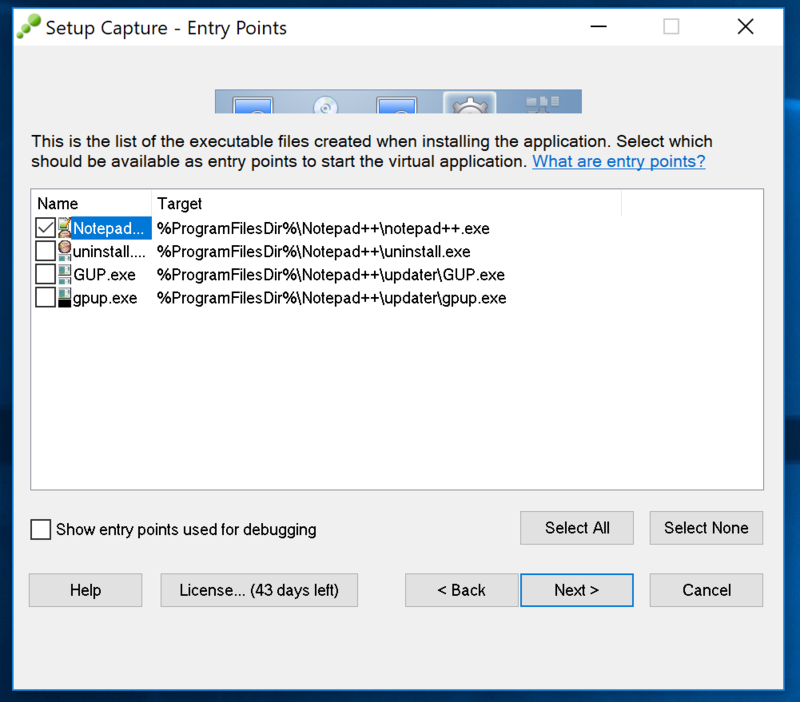 I’m installing NotePad++ here so it makes sense to select the notepad++.exe executable. 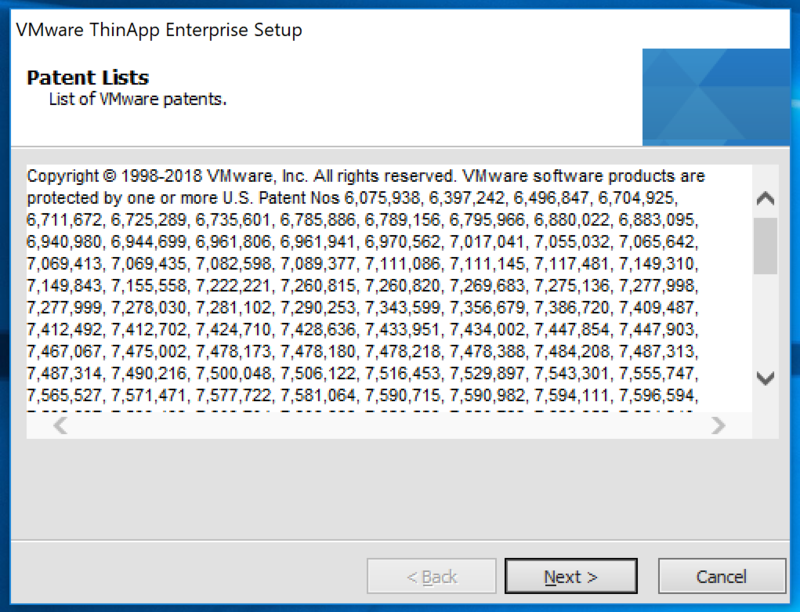 As its a ThinApp I’ll not be needing any of the other executable. Click Next. 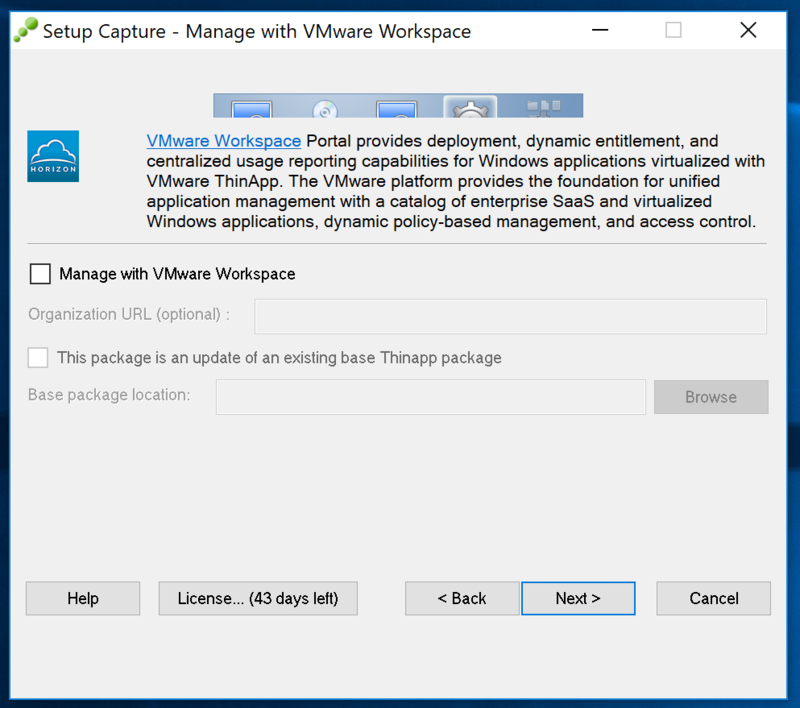 We’ll be importing this into our connection server later so won’t be managing this with VMware Workspace. I want everybody to be able to run this but you might want to restrict it to certain groups. Click Next. I’m installing an editor so it makes sense to me to have it be able to access as much as possible. Click Next. 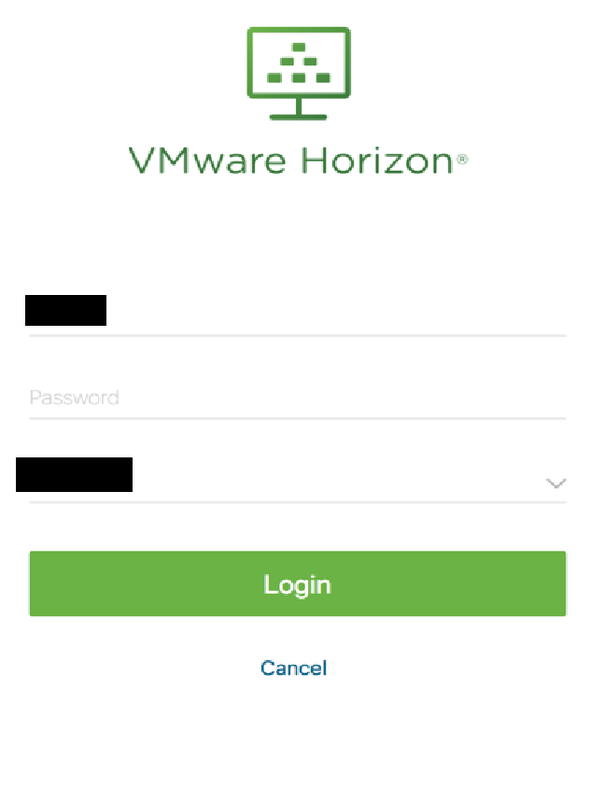 We’re running this app through Horizon View and want the setting and hostpry to persist so I’ll leave the default here. Click Next. So this step depends on your companies security policy. Most I would imagine don’t want any information sent out. I’m using this in a lab so I don’t mind to send the usage info out. Make your selection and Click Next. Name your App. I’ve kept the default but added the version number. If you have a central location for your apps, you can also set it here. Click Next. 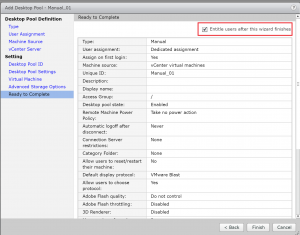 IThe package settings are usually fine as they are. I did however select Generate a MSI Package. In the next post we’re going to look at the two ways to deploy a ThinApp though Horizon View. Click Save. 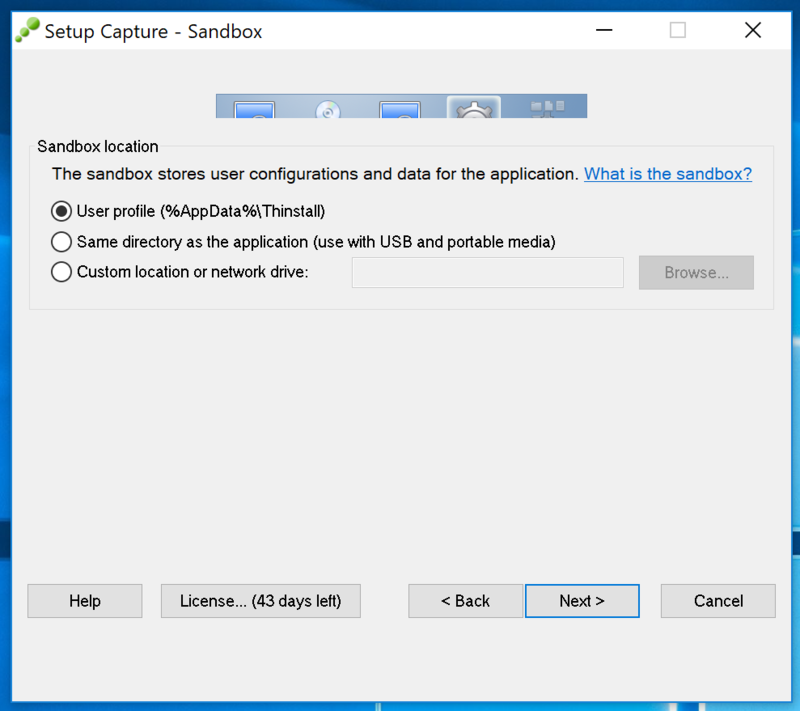 All the various changes that were made during the App install, such as file creation, reg keys, etc. Will be put into a build folder. This can take a while depending on the size of the App. 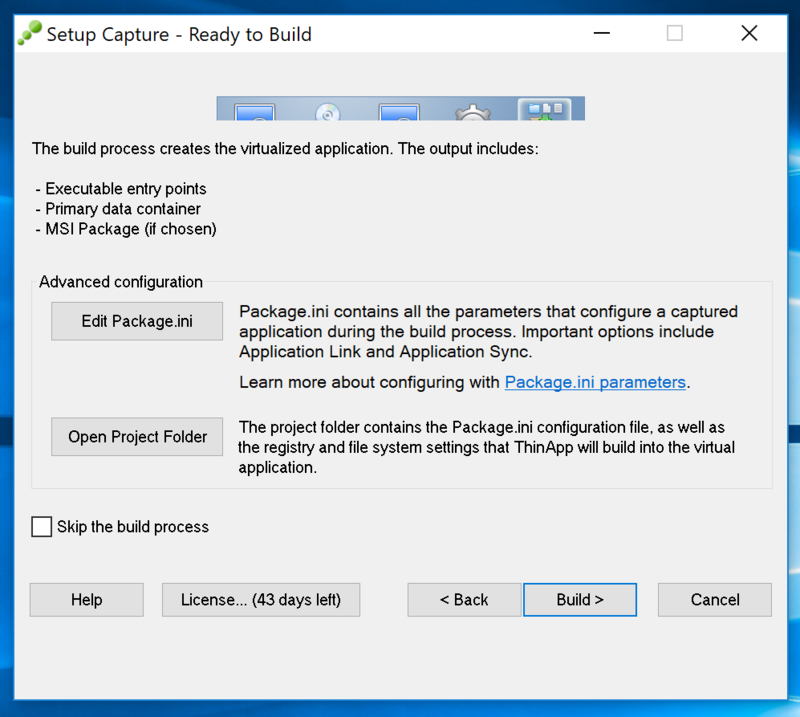 And now we get to trigger the build, you have the option of editing the ini file to change some of the more advanced options that were not available during the profiling.. This can take a bit of time. Click Build, and go get yourself a coffee. If successful you’ll see an output similar to the below. 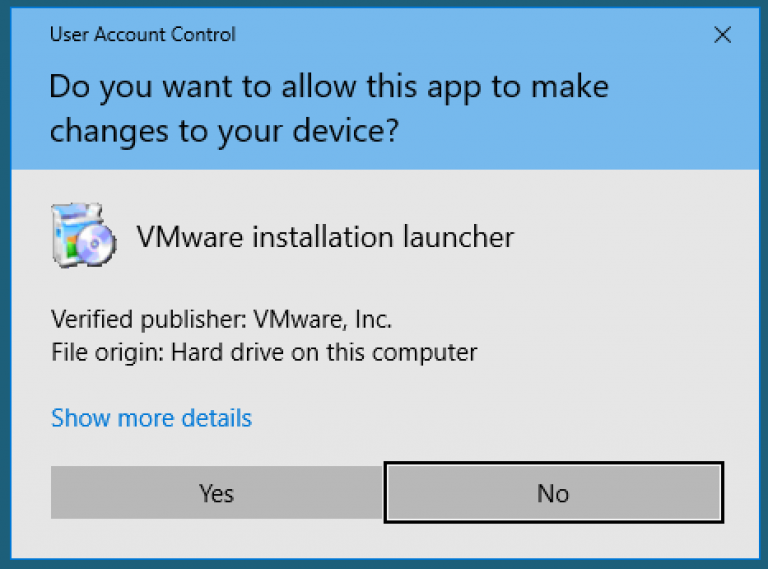 Your app is built, packaged, and put into the specified folder. 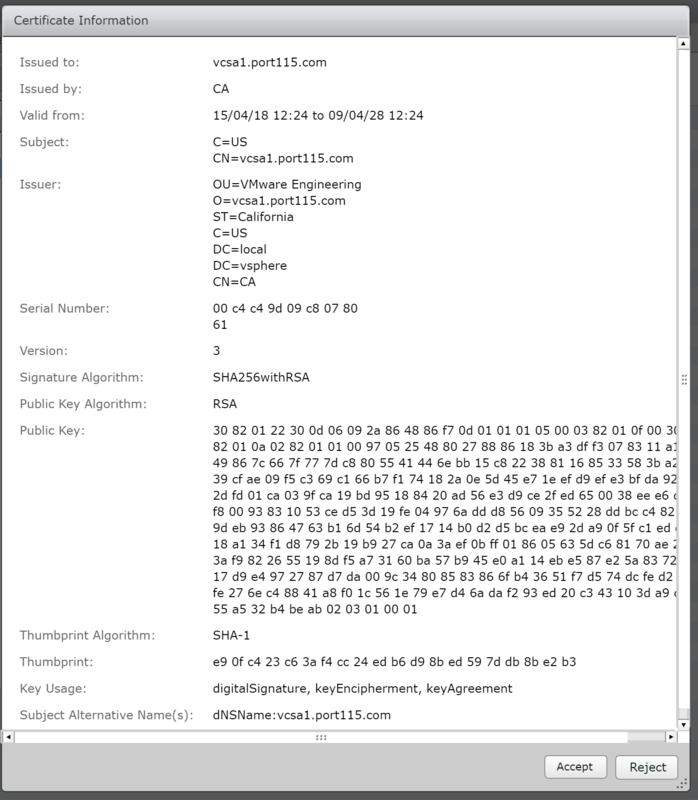 As you can see I have two files; one the exe that I chose as the entry point, and the other is the MSI, which we”ll use in the next post. 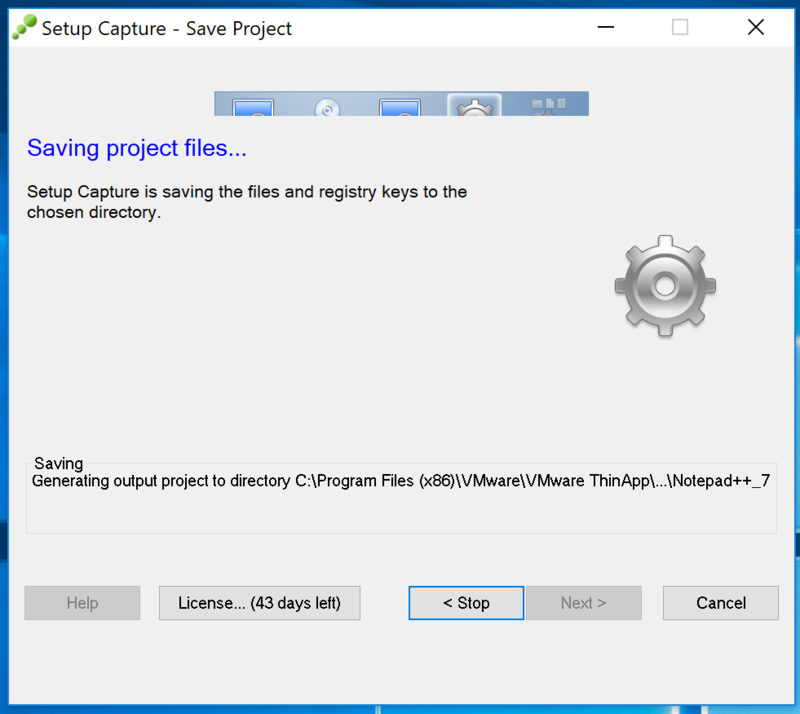 Once you’re done, copy the files out of the VM and roll back the snapshot. 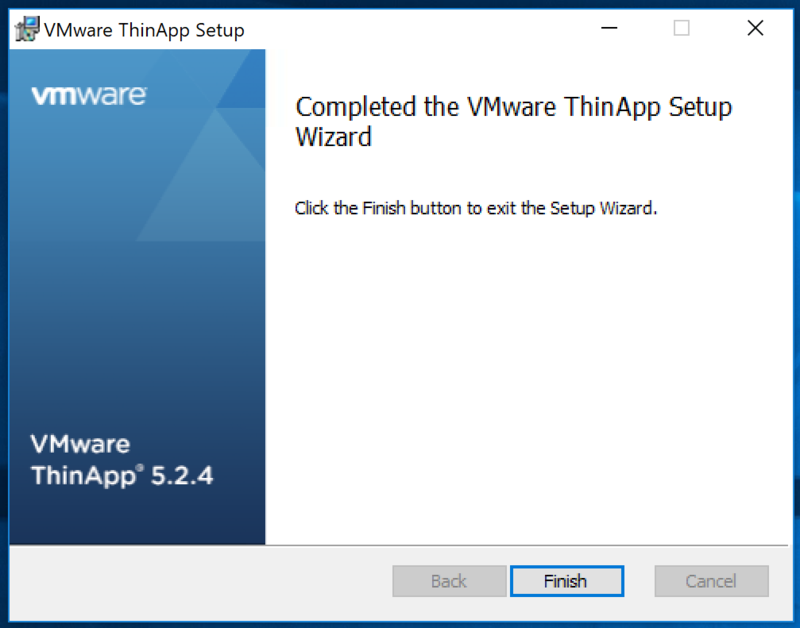 Unless you are putting together a bunch of apps (which I wouldn’t recommend with ThinApp) its always best to start in a clean state. 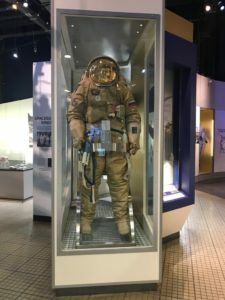 Packaging an App can take awhile but for some deployments it make perfect sense. As mentioned above, next post we’ll run it through our Connection servers, permission it out and get it onto the desktops. 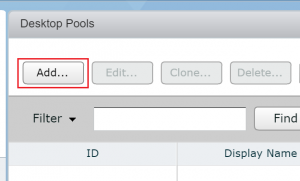 This is the most simple of pools that you can create. 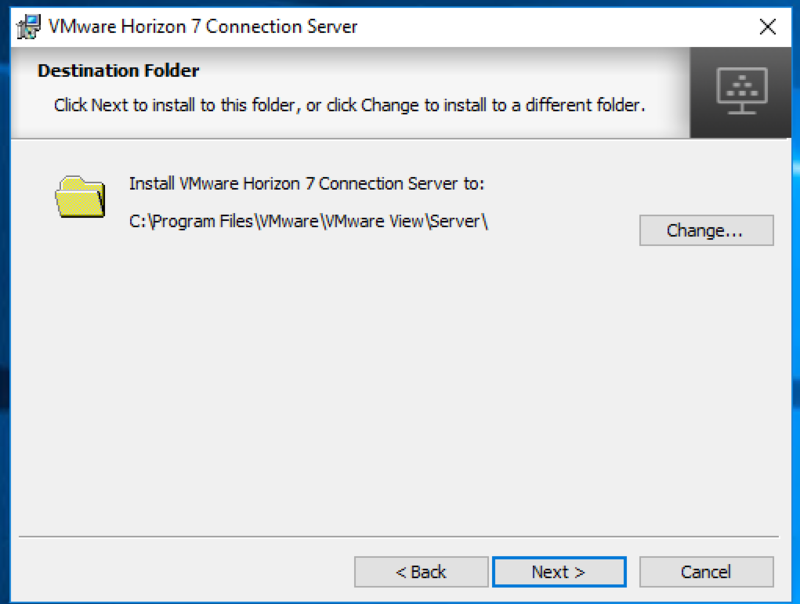 It requires a Desktop VM that has the Horizon view agent installed. It doesn’t really matter if its Windows or Linux as long as the Desktops are built and ready to go. Before anybody asks, there are a few legitimate reasons that you’d want to have a manual pool. 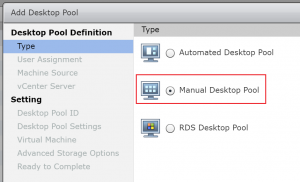 The most obvious be that the company security policy is that all Desktops need to be deployed from a central location such as a RedHat satellite server. 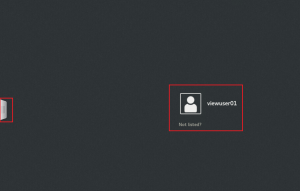 Connect to your View Connection Server https://<connection_server>/admin with an account that has administrator permission. 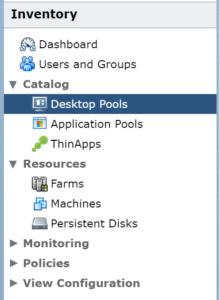 Expand Category and select Desktop Pools. 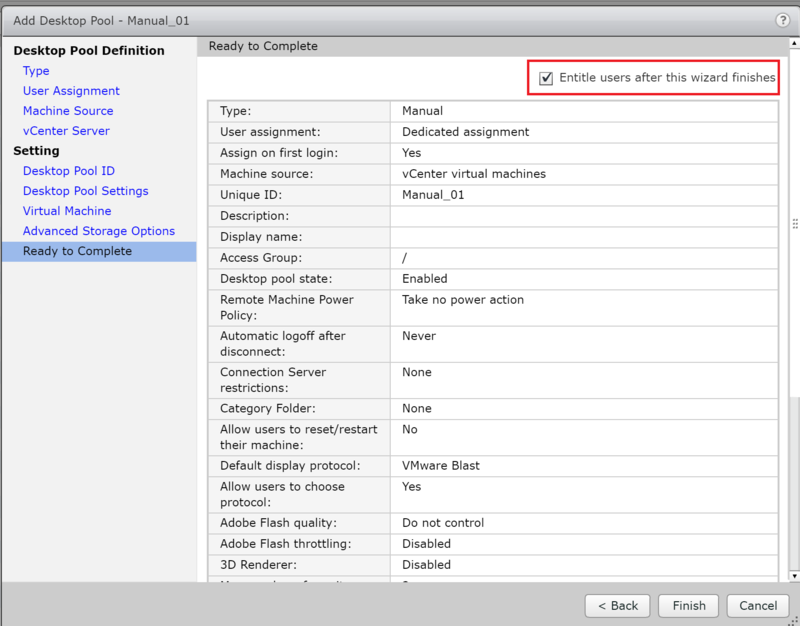 Select Manual Desktop Pool and click Next. Select Dedicated . Its up to you whether you select Enable Automatic Assignment. 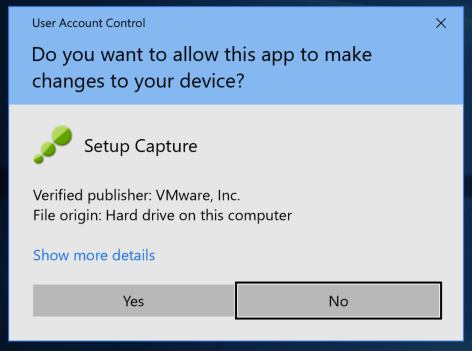 All it does is automatically assign a user to a free desktop, which will be a permanent assignment. Click Next. 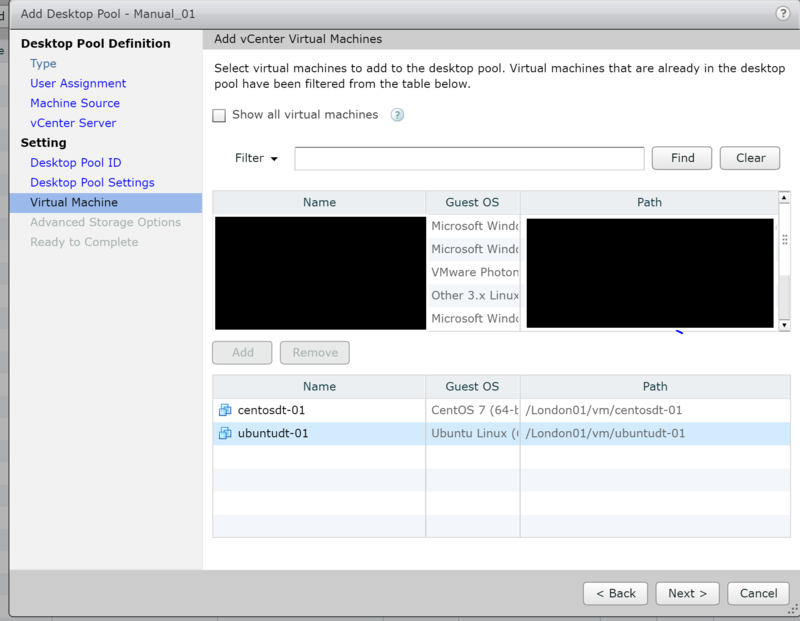 Select vCenter virtual machines. Click Next. 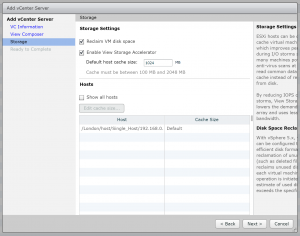 Select your vCenter and clict Next. Fill in a name for the ID and a Display name. 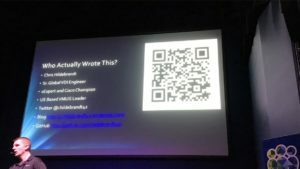 While you can change the display name, teh ID name won’t change. 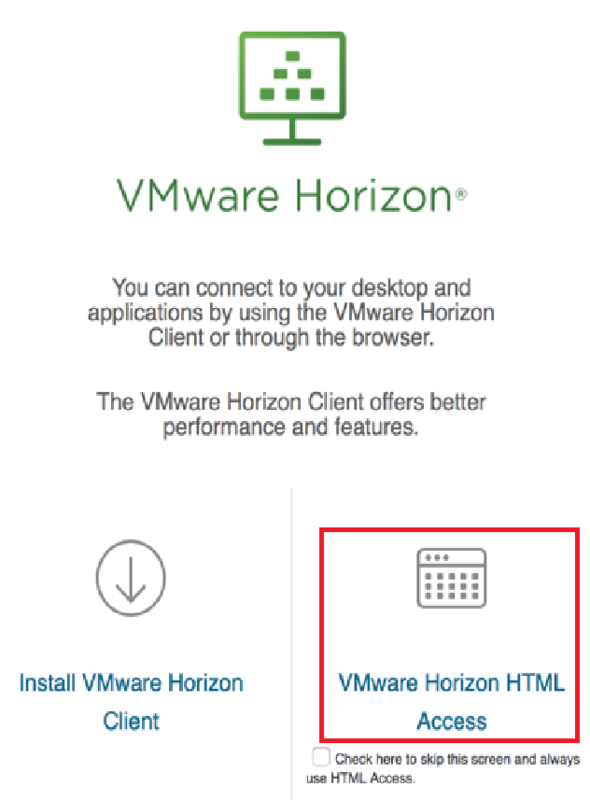 In this page there a quite a lot of options you can configure, I’ll break them down in a later post but for now select HTML Access as this will allow us to connect to the desktop using a browser and click Next. 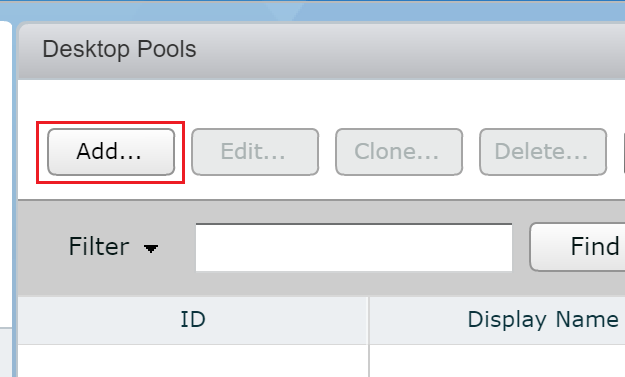 Select the VM’s you’d like to add to the pool, click Add and click Next. 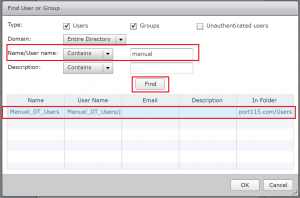 Select Entitle Users After this wizard Finishes to add users. `This will allow you to add users after the wizard finishes. Not necessary but a bit of a time saver. Click Finish. 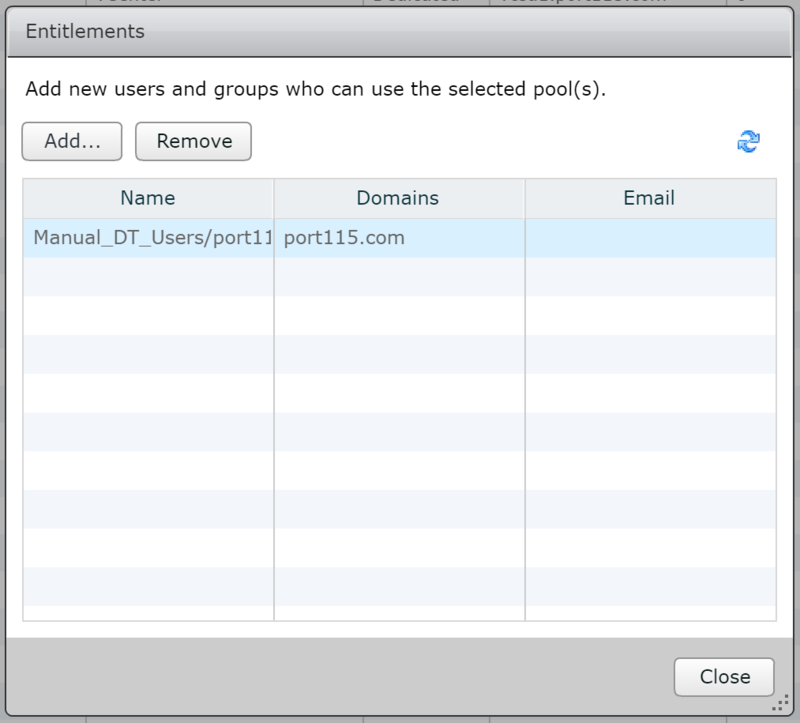 Once you’ve finished the New Pool wizard the entitlements wizard opens if you’ve selected it in the previous step. Click Add. 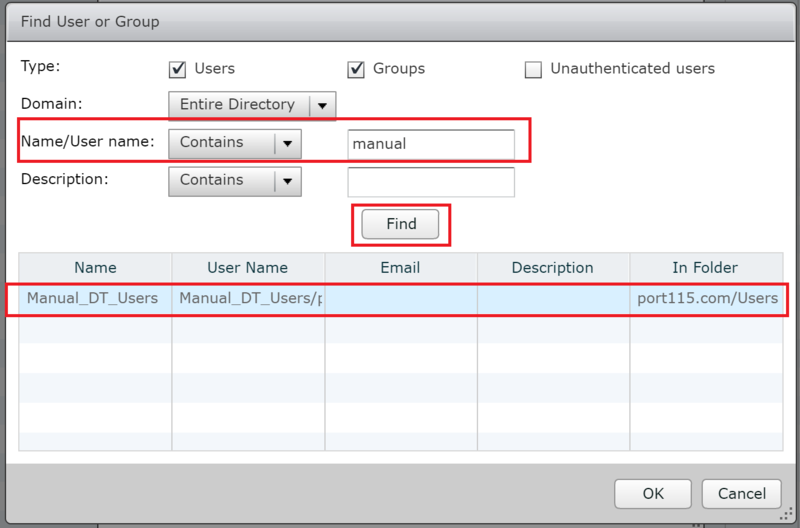 In the Name/User name box type the name of the group or user you’d like to add and click find. Once it appears, select it and click OK. 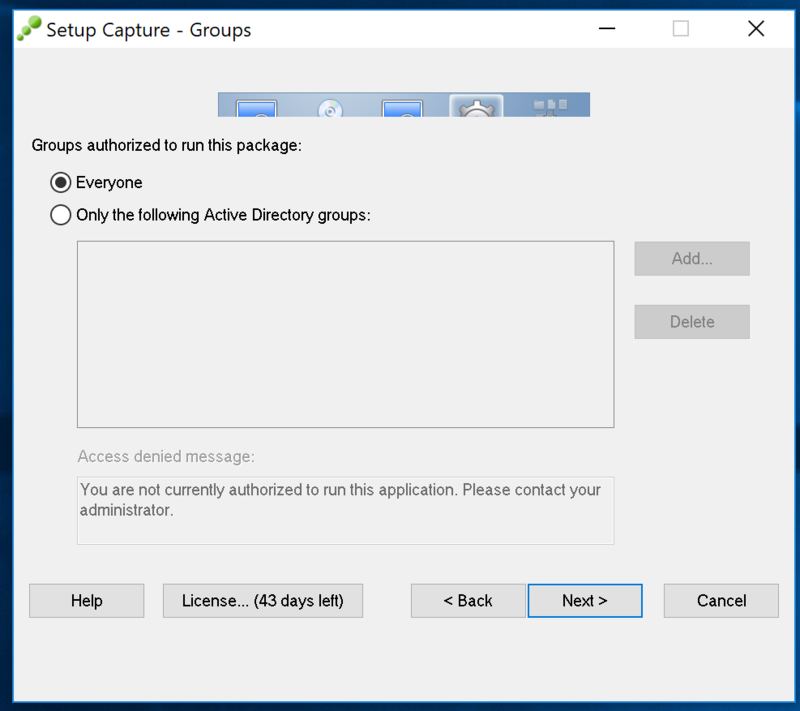 In production environments you’d usually add an AD group rather than an individual user. This allows for greater flexibility and monitoring. 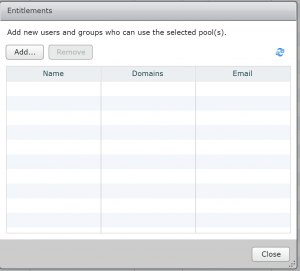 To entitle other groups or users click add or if you are finished click close. 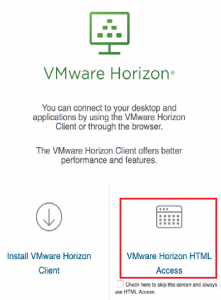 Click VMware Horizon HTML Access. 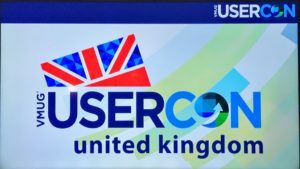 Enter in your username and password, and click Login. 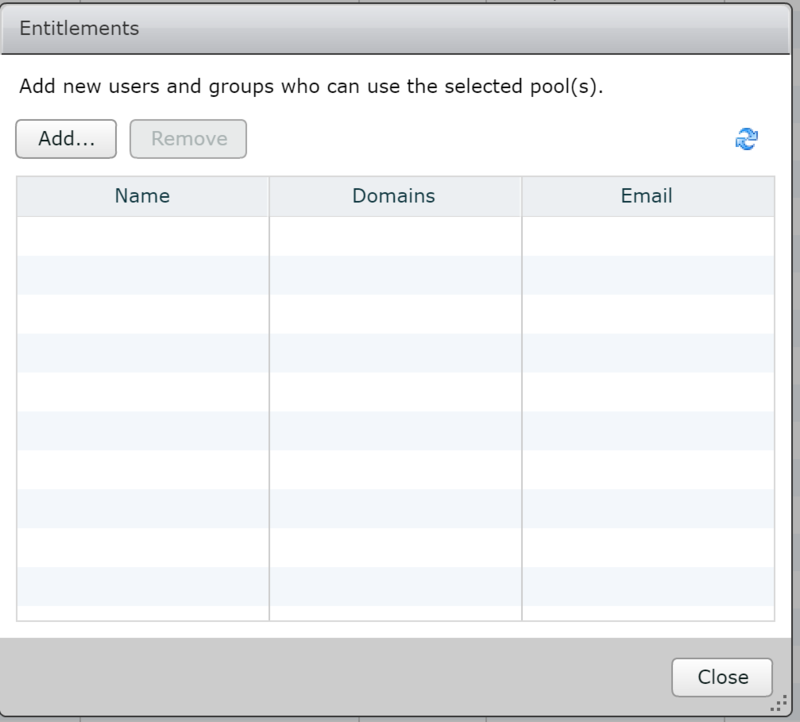 Select the pool you created earlier. 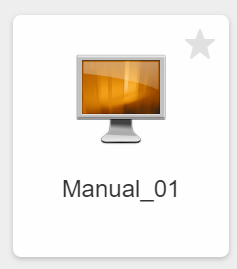 In my case I called it Manual_01. 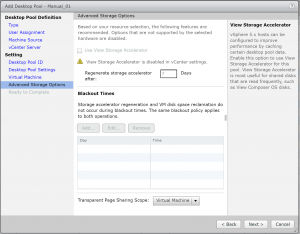 If everything went according to plan you’ll now have access to your VM. 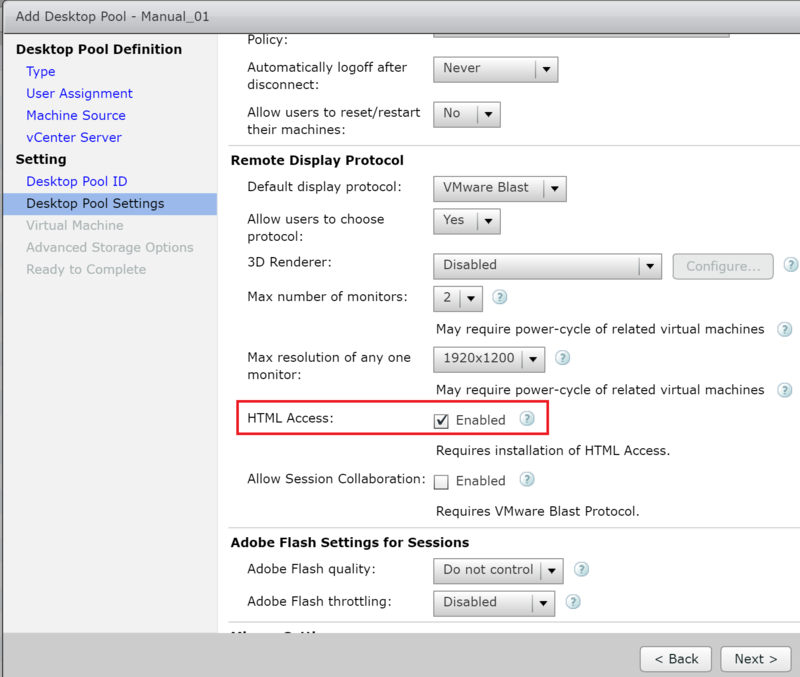 If you experience issues connecting via the web interface go back and have a look at step 9, did you tick the box to enable HTML access? Can you connect using the full client? Check the firewall on the Desktop OS. 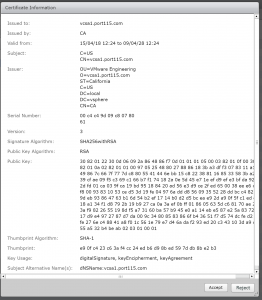 The agent on the desktop needs to speak to the connection server on port 4001. Is the View agent installed? We’ve created a very basic pool. 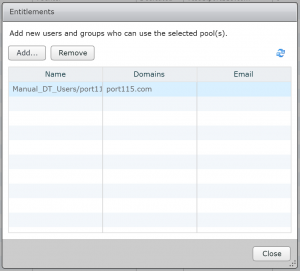 Next few posts will look whats needed to create an automated Desktop pool using both Windows and Linux. 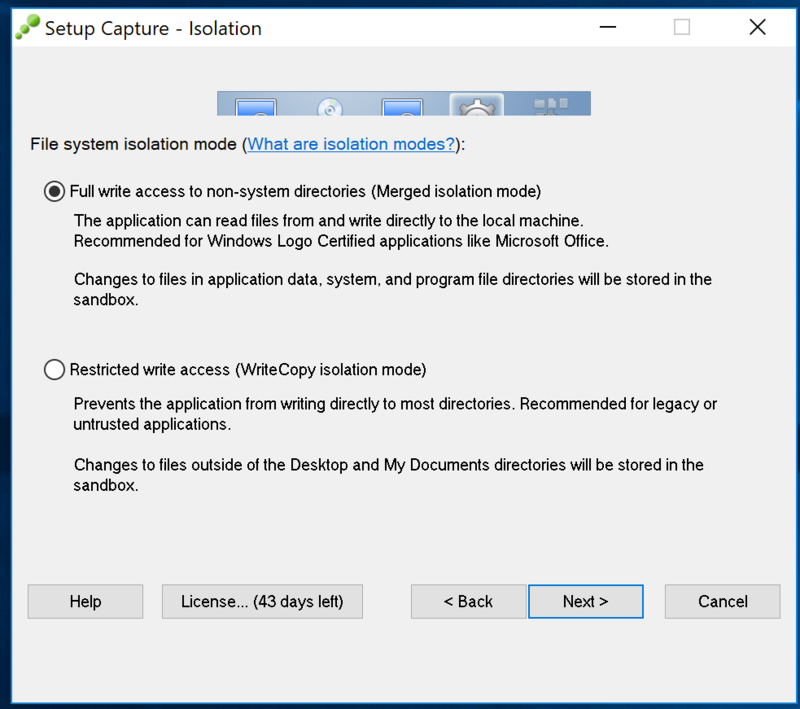 We’ll also look at optimizing the Widows Desktop, including various design and storage considerations, As well as discussing the various options available in the Desktop Pool wizard. 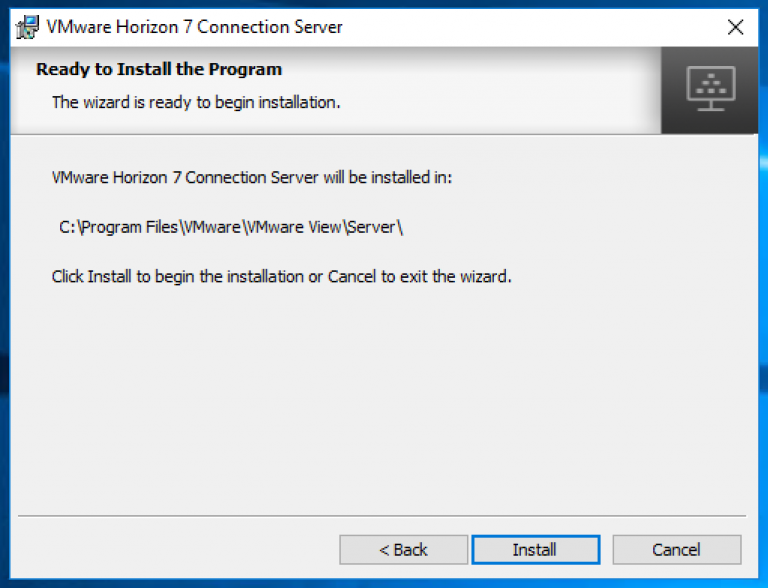 Horizon View – How to install the Linux Desktop agent. 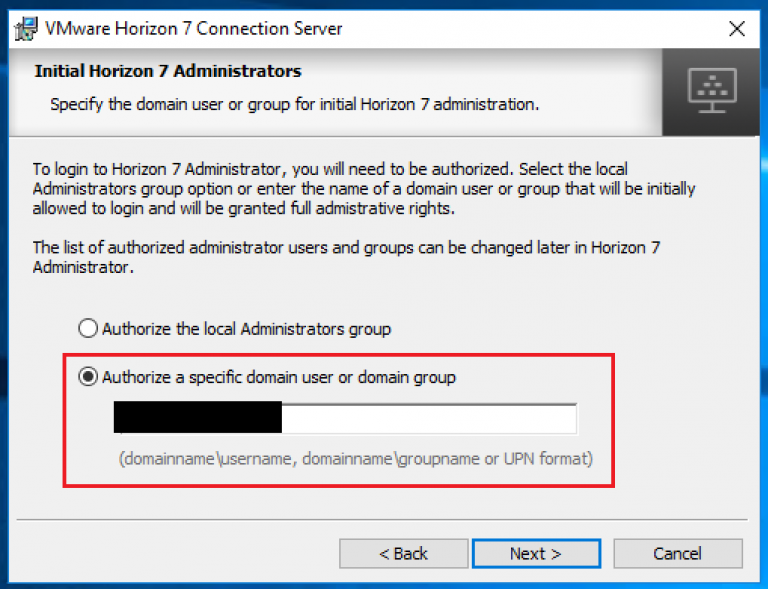 In the previous post we looked at joining the Linux desktop to an Active Directory domain. While its not necessary for Linux desktop to be domain members I feel it should be done if a domain is available. As before we’ll be focusing on two business ready distro’s; Centos 7.X (RHEL) and Ubuntu 18.04 (LTS). We’ll get the correct dependencies setup, and the agents installed. To begin I have deployed CentOS 7, with a GUI (Gnome) and Ubuntu 18.04 LTS. 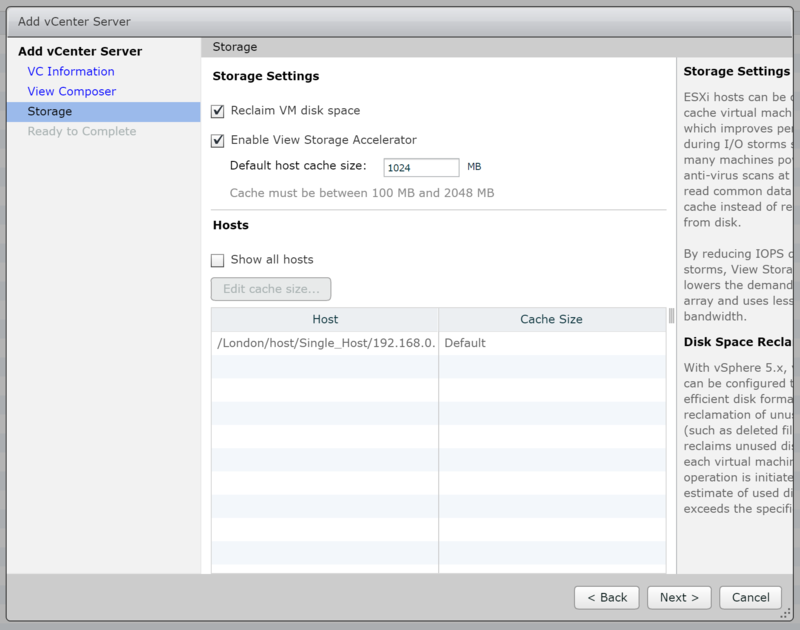 VM’s. 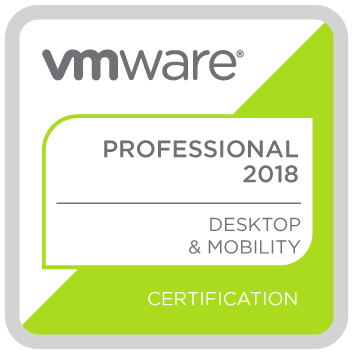 Both VM’s are fully patched and running the latest available official kernels as of 16/11/18. 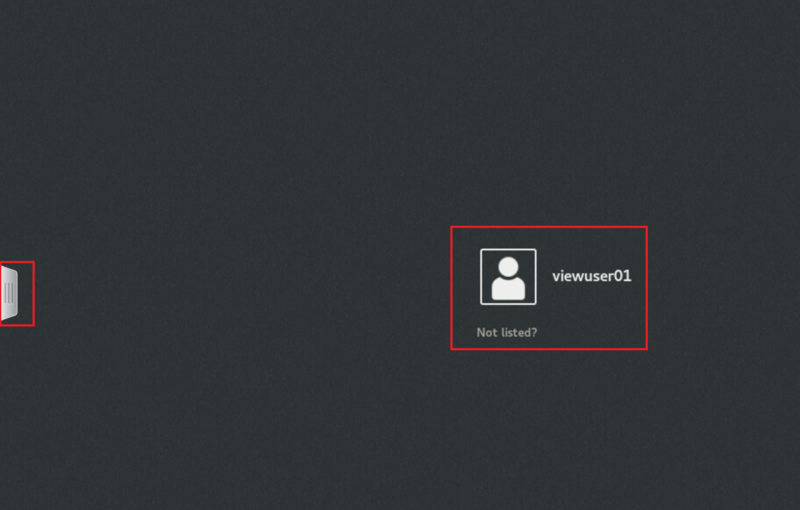 A local user has been created during install time called viewuser01. 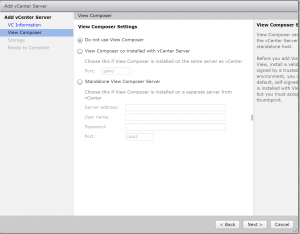 The VM’s are called centosdt-01 and ubuntudt-01 respectively. Static IP’s have been assigned. Ubuntu is running the GNOME desktop and CentOS is running KDE. 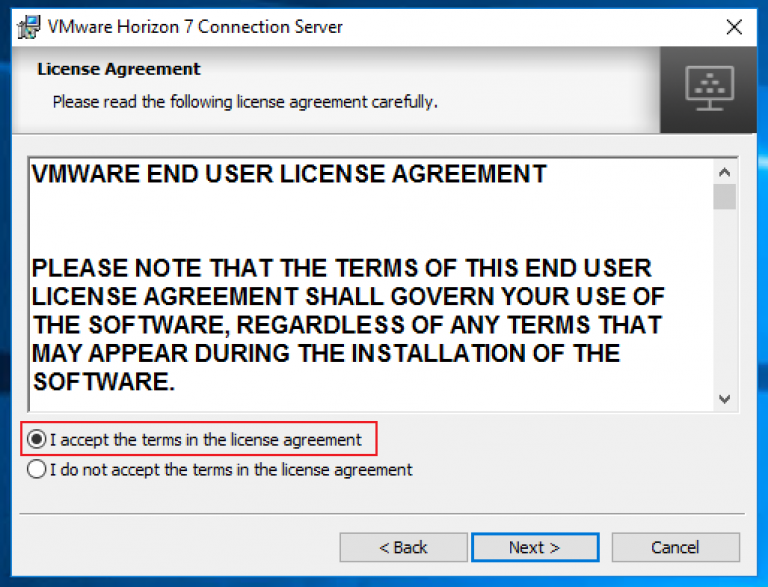 In addition I would recommend you go and take a look at this page System Requirements For Horizon 7 for Linux. 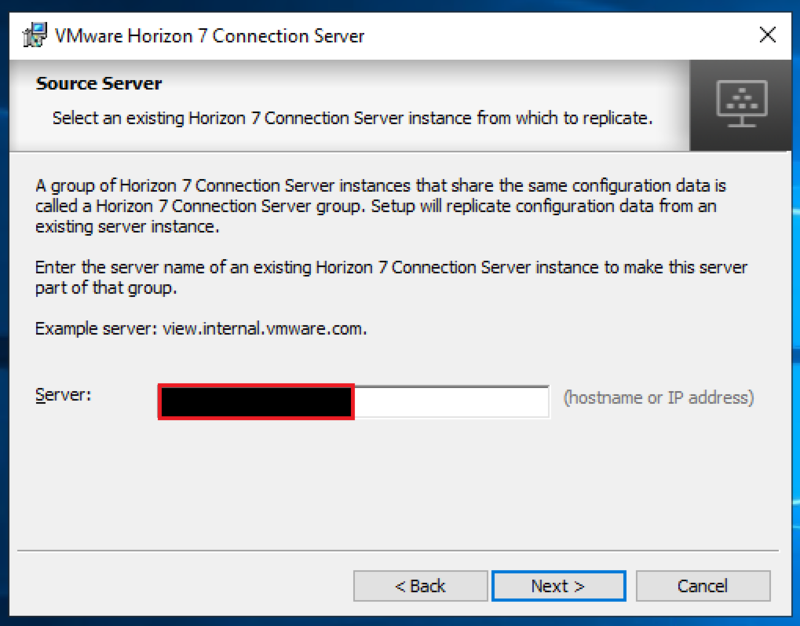 [EDIT 26/01/19]: Depending how your VM is installed you might get an error when trying to install the agent stating that the hostname is resolvable. 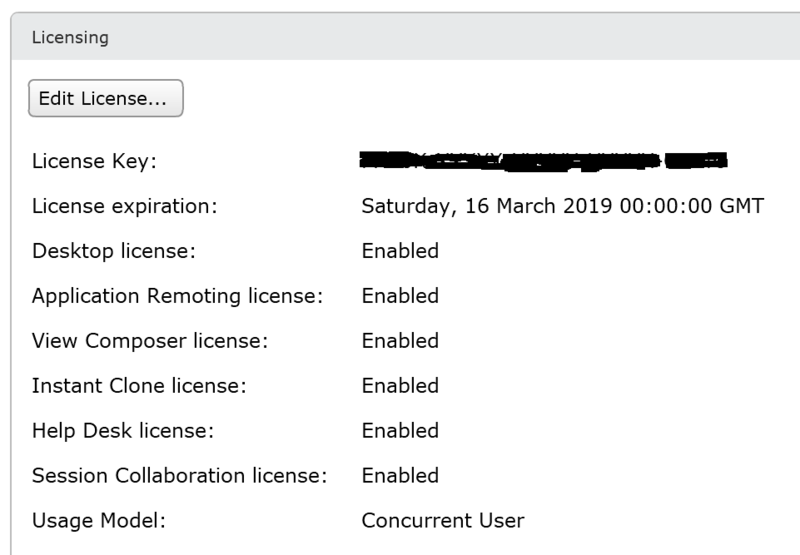 This is common if you are setting up a template to be referenced by an automated desktop pool and the hostname of the desktop pool isn’t in DNS. 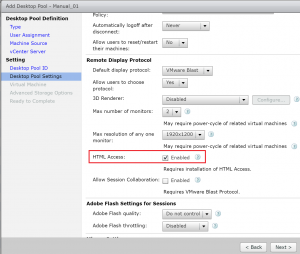 The fix is to add the hostname to the /etc/hosts file next to the entry 127.0.0.1. 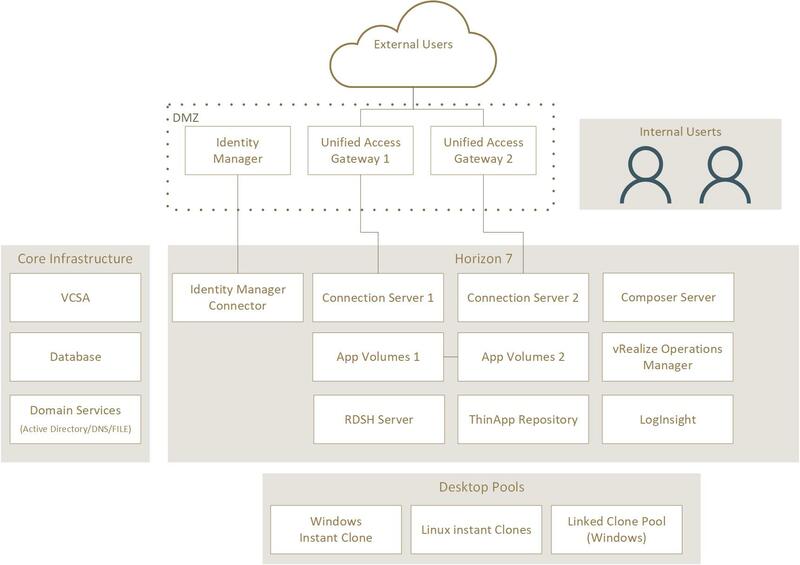 Only certain desktop environments are supported in Ubuntu and unity is not one of them. 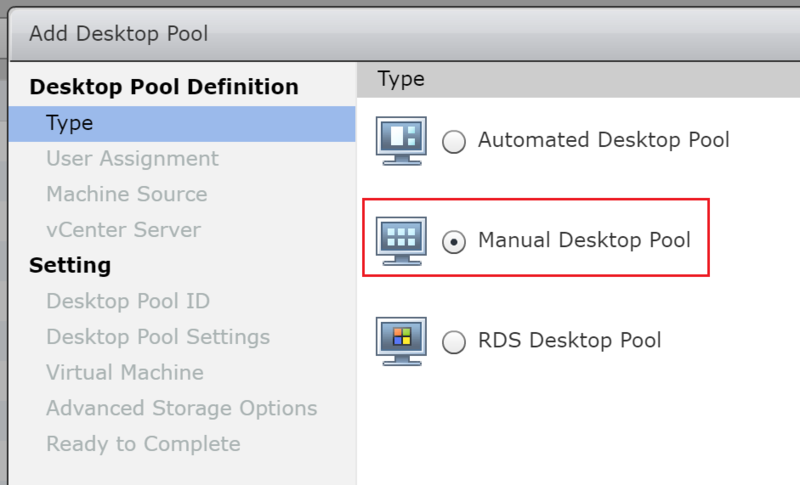 VMware have written a kb detailing how to change the desktop in Ubuntu: KB2151294. Since I’m using 18.04 LTS its not an issue as the default desktop is Gnome. Ubuntu is configured and ready to go. 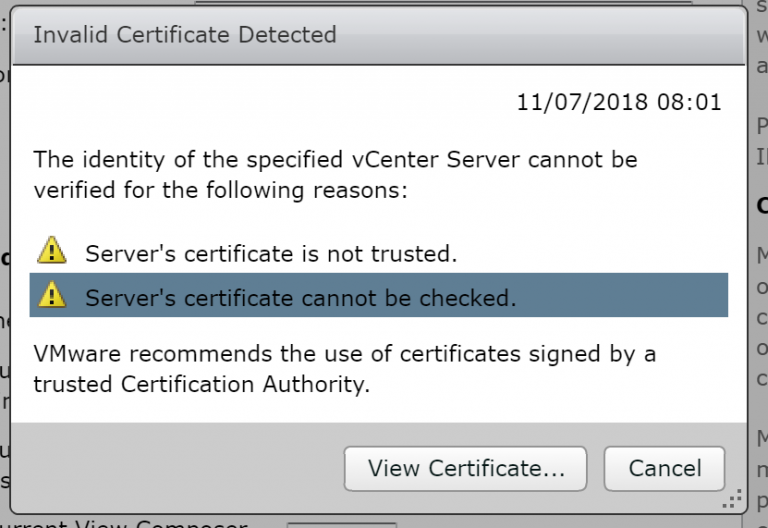 It’s usually easier to get dependancies resolved in CentOS and CentOS is “aware” its running as a VM and will usually have the open VMtools installed. Open a terminal, switch to root and run the following to update and install dependencies, and fix the networking. 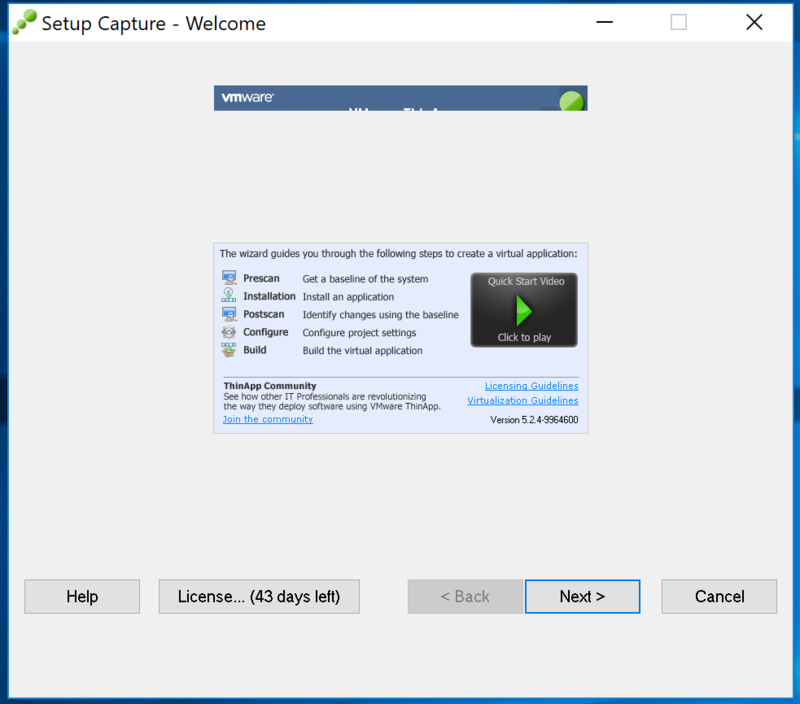 Open a terminal and locate the downloaded agent. Usually in /home/<user>/Downloads/. CentOS is configured and ready to go. 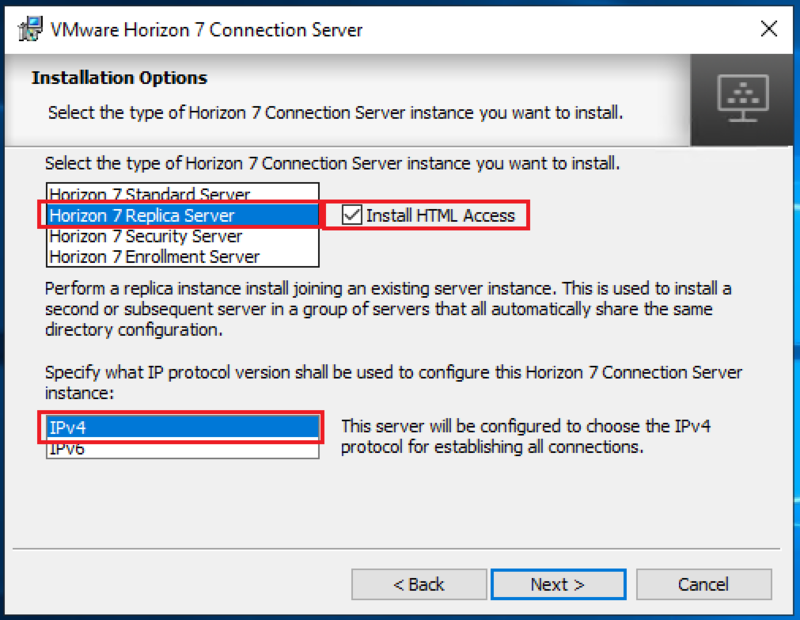 Horizon View Connection Server – Install and basic setup 2/2. Check the certificate is recognised. 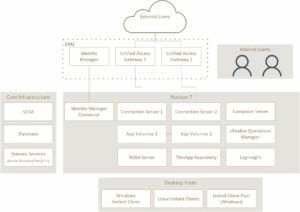 Connecting to a vSphere server. On the right hand panel labelled Inventory. Enter in your serial number and click OK. 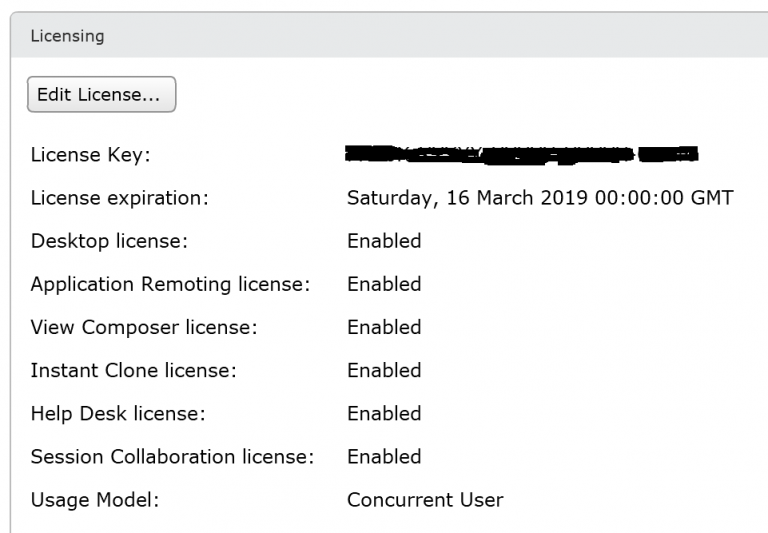 Your license info should now be shown. 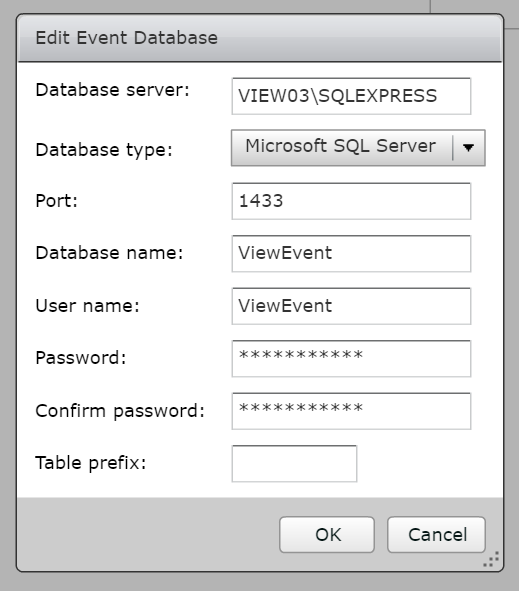 To see how to create the events database here is a previous post where we looked at creating the events database using SQL Express. Fill in the details that you used to create the database. 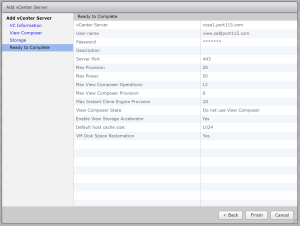 Enter in the details of the VCSA and a user that has the correct privileges. 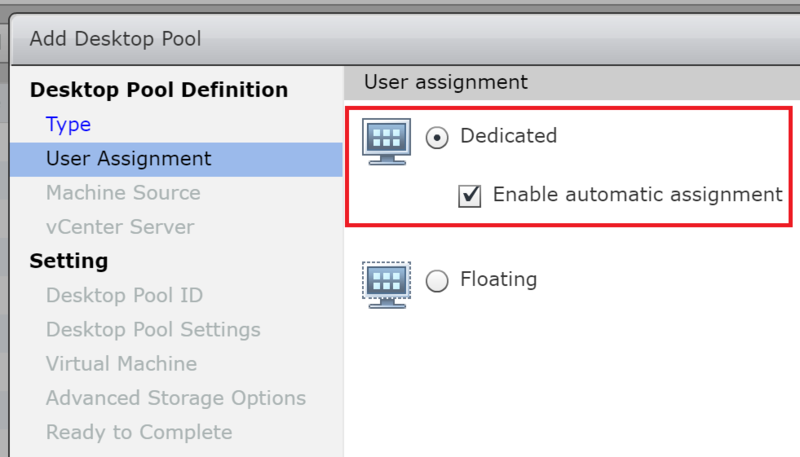 For most medium sized deployments the default Advenced Settings will be fine. Generally speaking you need to determine how much connection traffic your environment will receive and how the storage will cope. 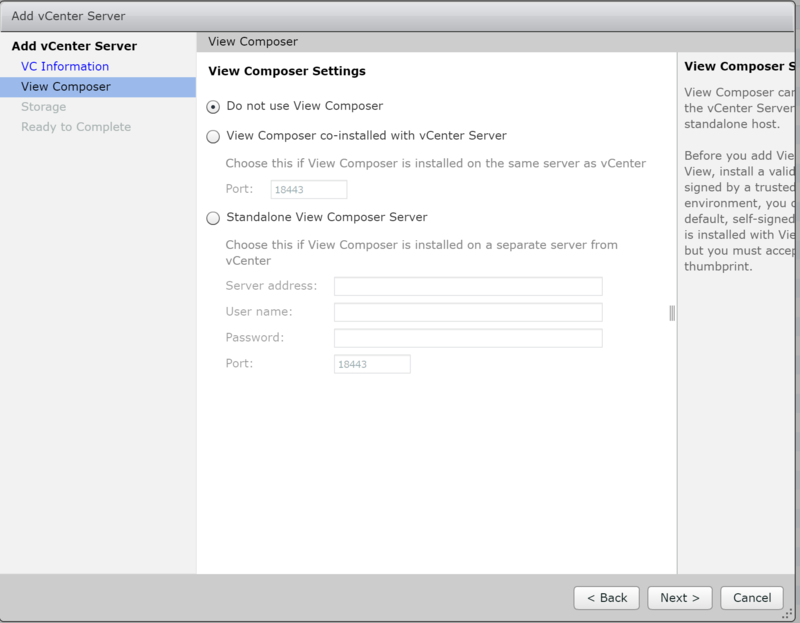 Select Do not use View Composer (we’ll do this later) and click Next. 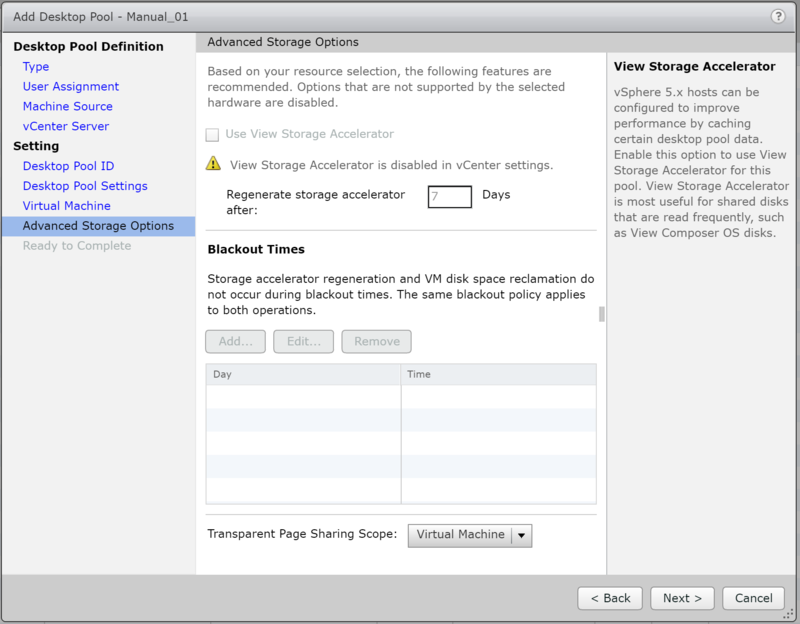 Select Reclaim VM disk space and Enable View Storage Accelerator and click Next. 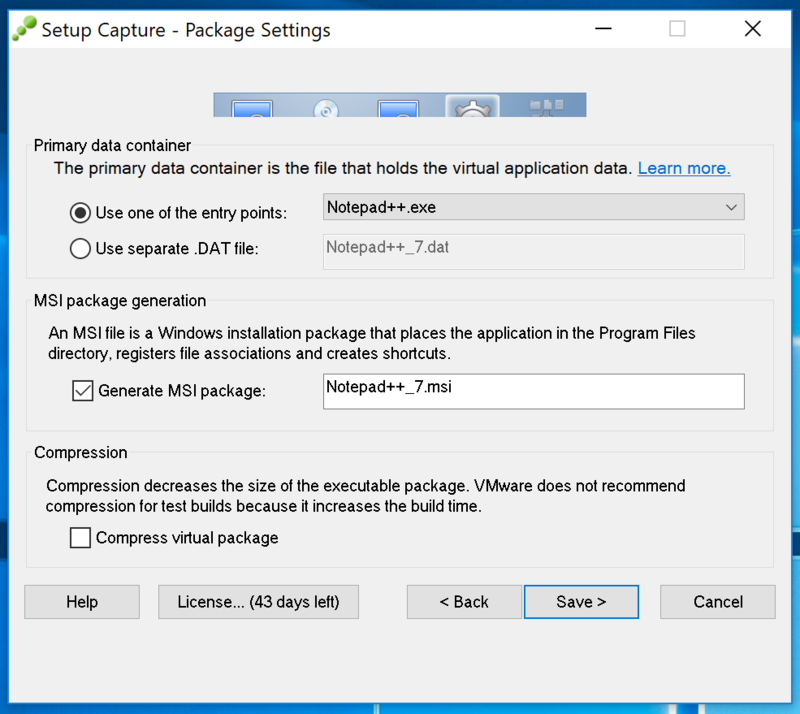 Changing the Default host cache size can help with storage acceleration but will take the memory away from the host that it dedicates to VM’s and use it for storage caching. A final check your selected options, if all looks good click finish. 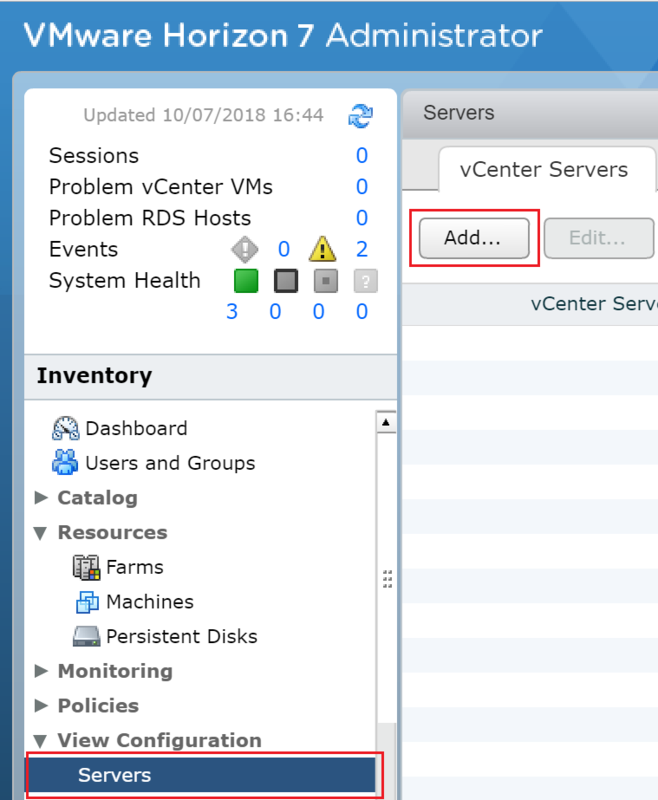 If the connection is established successfully then you see the VCSA added to the vCenter Servers tab. 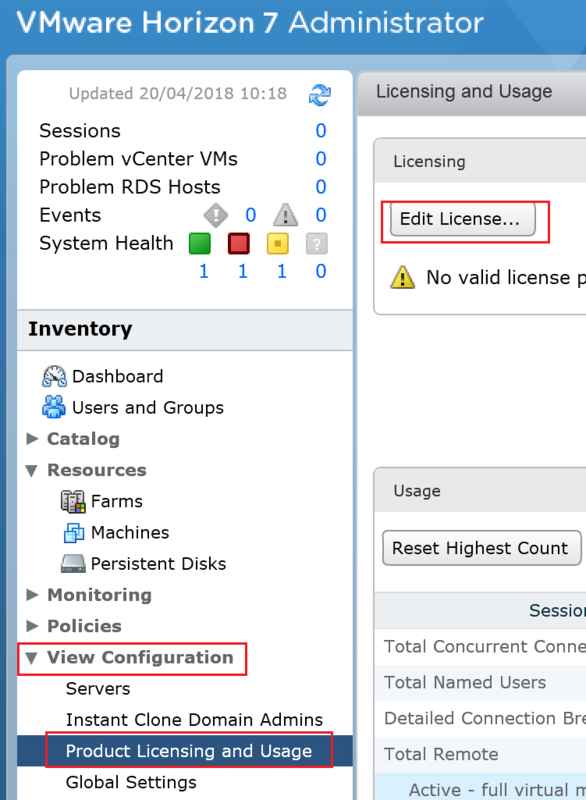 So now we’re configured and ready to go, except for the vRealise and Log Insight server which well add as we build them out. 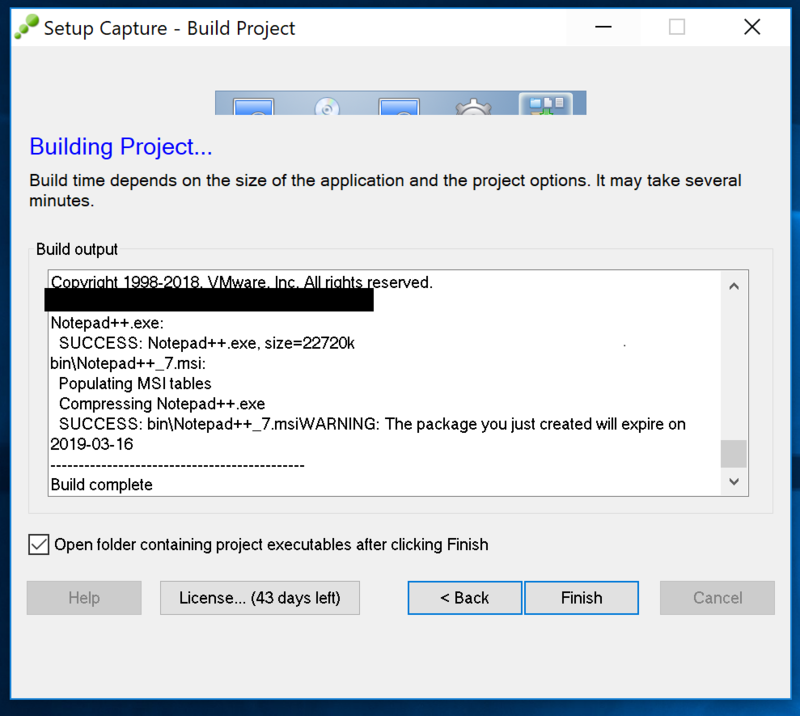 The next post will look at installing the bits needed for connecting to a Windows Desktop as well as putting together the first pool. 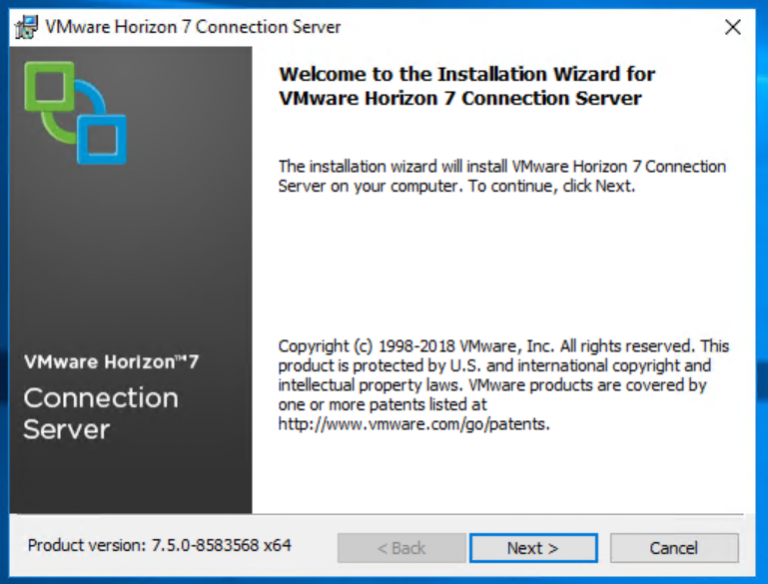 Horizon View Connection Server – Install and basic setup 1/2. 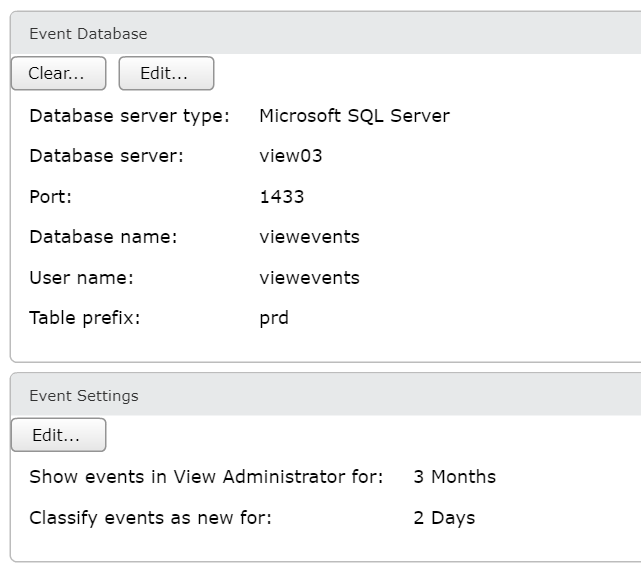 Apologies to the three people who read this blog regularly, The last month has been very busy. 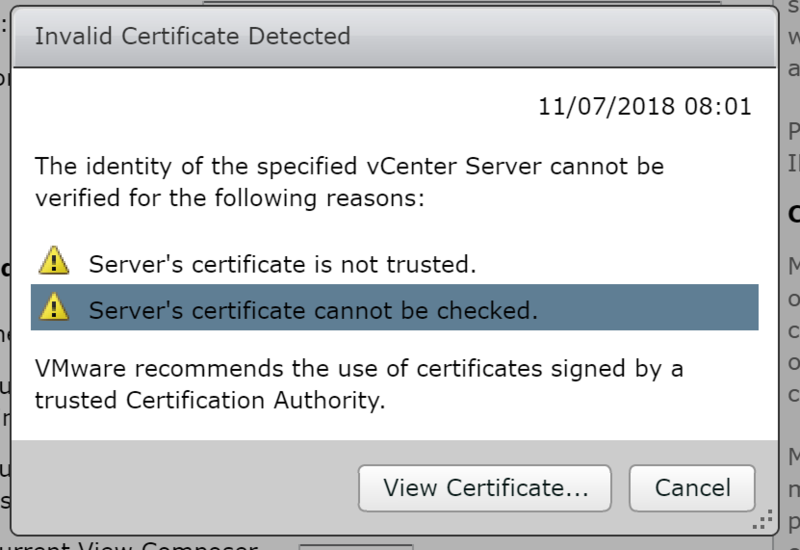 So far we have configured a Root CA, and imported a certificate into what will become our first connection server, and a setup a SQL database. Now we are ready to install and do a basic setup our first connection server. Installing the Horizon View Connection server. 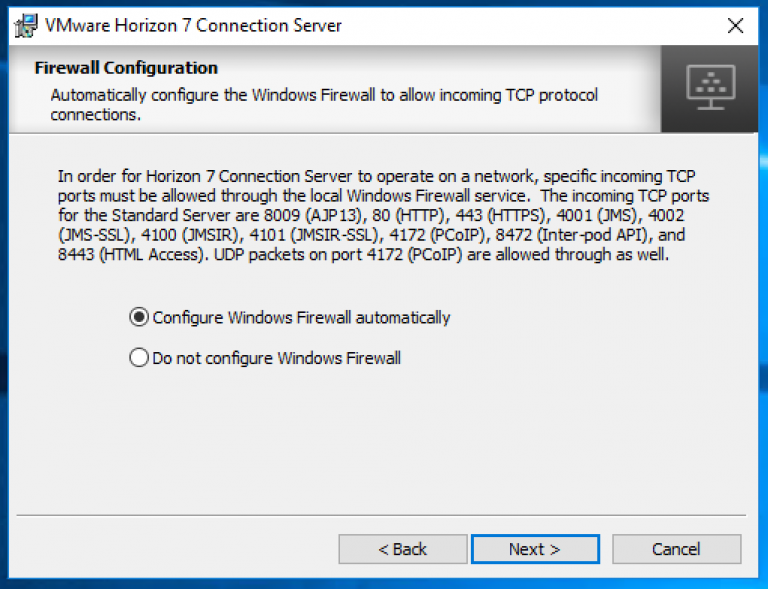 Connect to the server you will be using as your connection server. 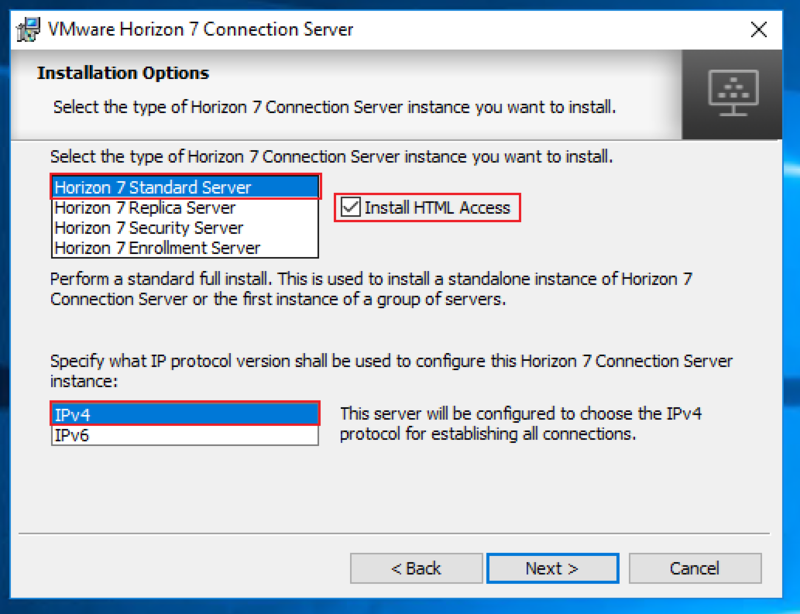 Select “Horizon 7 Standard Server as the install. Select “Install HTML Access”, this is technically not necessary but I would recommend it. 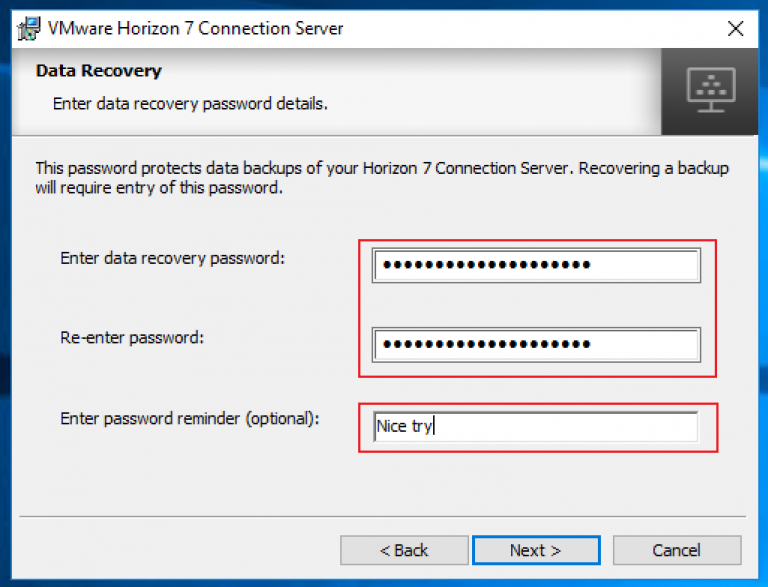 Enter in a password for Data Recovery and a hint if you prefer. Click Next. 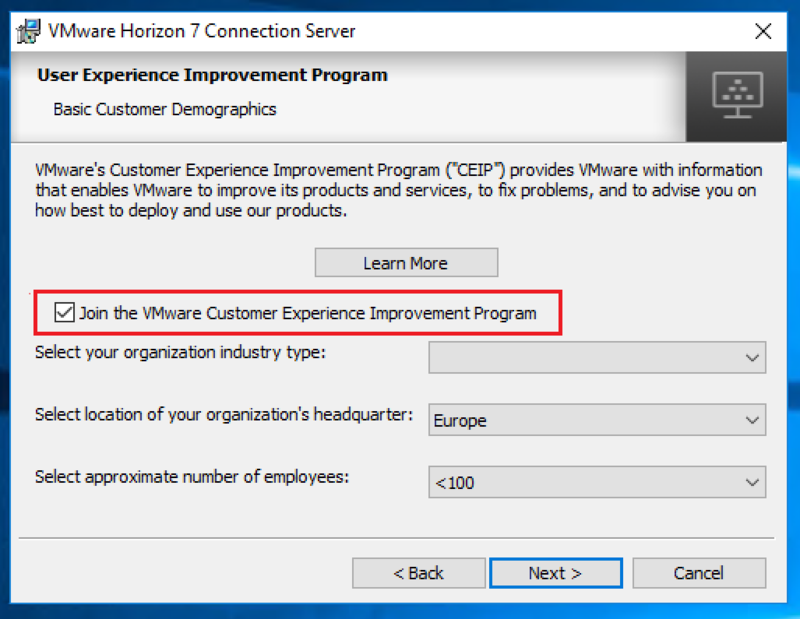 Choose whether you want to join the VMware Customer Experience Program or not. If your company policy allows it I would recommend you do. Click Next. Once the installer is done, click Finish. Now we have the Horizon View Connection Server installed which can be verified by going to http://<your_full_server_address>/admin. In part 2 we’ll get the basic config done. 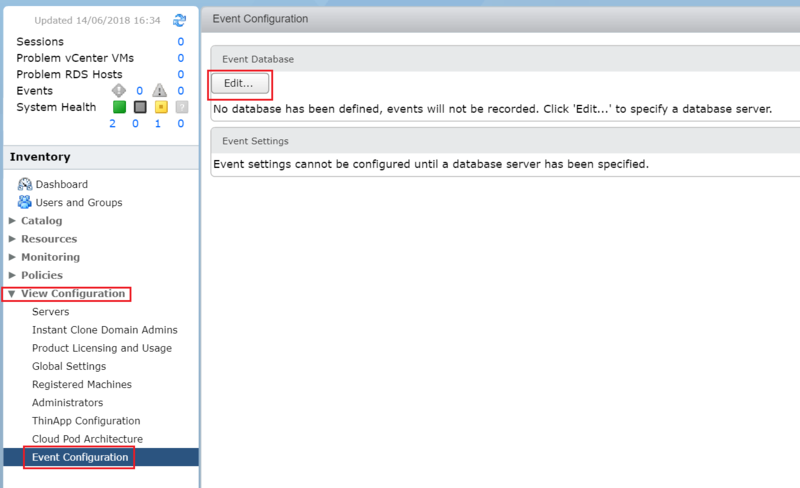 Adding a vCenter server, connecting to the events DB and licensing your install.